Hooray for the unofficial start to summer! It’s hard to believe the unofficial kickoff of the summer of 2018 has come and gone. I hope everyone enjoyed a Happy Memorial Day and the rain that affected so many people didn’t put too much of a damper on your holiday fun. 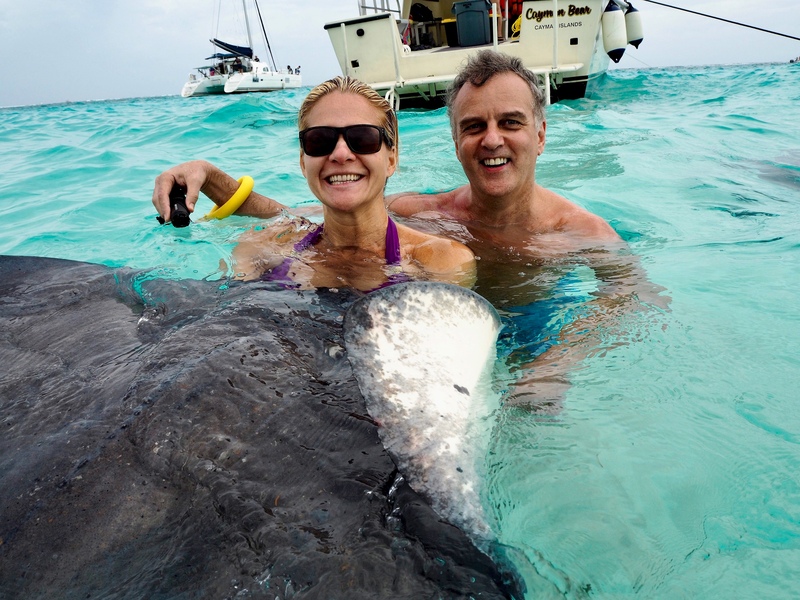 Swimming with Sting Rays: One of My Very Few Workouts on Vacation! Social media shut down: I did cave once after posting a bye-bye photo at the airport last Tuesday morning. However, aside from that one slip, there were no worries about taking a post-worthy selfie or cute couples shot for the remainder of the trip. We took photos when we felt like it and it didn’t matter if we missed capturing an image of each and every frozen drink or delicious seafood dinner. What did matter was spending quality time with one of the people who keeps me grounded even on the busiest or most difficult days living in the concrete jungle of New York City – my fiance, James. Multiple rest days: I only made it to the fitness center once. Do I feel guilty about it? A little. 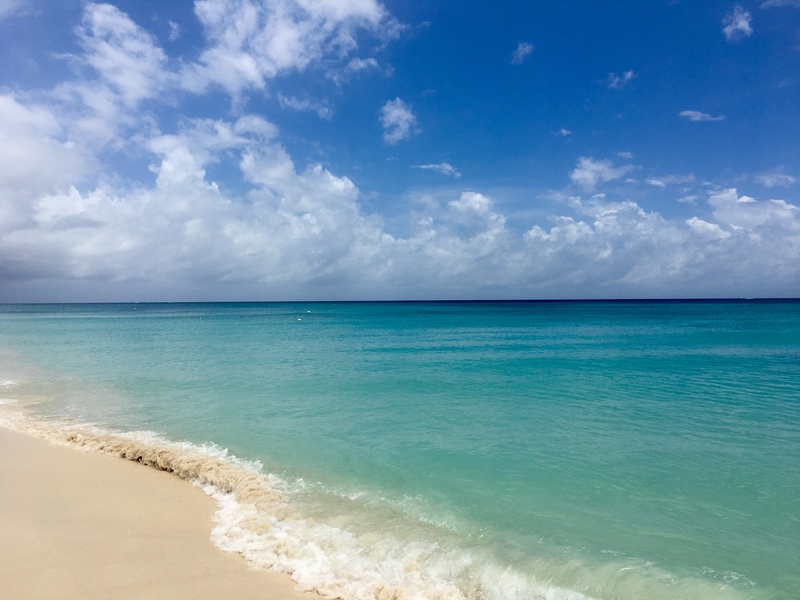 However, the long walks along Seven Mile Beach were a welcome change to my usual Tabata training and extended cardio sessions. I can honestly say my body feels better after the rest and I am confident my muscles are ready to tackle the kickboxing and barre classes I have planned for the week ahead. So now that the “lazy days of summer” have unofficially arrived, I guess this is my way of encouraging everyone to truly engage in the memorable moments as they happen. Enjoy catching up with family and friends by talking – not texting – at a barbecue or backyard party; savor the sight of a sunrise or sunset and try to find 10, 20 or dare I say 30 minutes to disconnect whenever possible. The emails, texts and all those social media channels will be waiting for you when you’re ready to tune back in. Remember, slowing down can be a powerful tool when it comes to staying on track with your goals to have fun, be fit and feel fabulous! Posted on May 29, 2018, in Fitness, Health, Vacation. Bookmark the permalink. Leave a comment.